Summary. This article focuses on types of neologisms of 2016-2017 representing the universal concept of time in the English language and their word formation processes. Key words: neologisms representing the concept of time, types of neologisms, word formation processes. To keep up with the trends the English language should constantly develop and it really does. English can be considered rich on new words showing the variety of linguistic word formation processes. The rapid and on-going appearance of new words challenges natural language processing systems and lexicography. Global Language Monitor claims that approximately 5,400 new words appear every year . Language units representing concepts are of vast interest for both linguistic and cognitive sciences. Moreover, such focus on the neologisms representing the concept of time can be further developed as the topic of research in terms of cultural and cognitive representation of time. In this article we focus on types of such neologisms of 2016-2017 representing the universal concept of time as lexical units. Translation of such neologisms can be conducted based on the information of our research. The aim of the article is to analyse neologisms of 2016-2017 representing the universal concept of time as lexical units having identified their part of speech, type (according to Newmark) and word formation process they had to undergo. From the definition of the term neologism introduced by Algeo we can claim that these units constantly enter the language, meet the requirements for inclusion in general dictionaries, but have not been recorded there . Fischer supposes that neologism lost its status of a nonce-formation but is still considered to be new by the majority of members of a speech community [4 p. 3]. In terms of linguistics, recent research studies of neologisms belong to Cook, O’Dell, McDonald . Key characteristics of a neologism can be defined depending on approach to perspectives consideration . There are such approaches as: stylistic (Fischer, Rets), denotation (Ulanova), structural (Sari), etymological (Cook, Rets) and lexicographic (Sanders) . frequent occcurance in media (newspapers in particular). It should be mentioned that the lexicographic theory emphasises entering or the becoming a part of the language, due to the fact that the new words are presented in dictionaries but online ones. The neologisms analysed in this article meet all the above-mentioned requirements. They are no longer nonce-formations, generally considered to be new, and typically not recorded in general use dictionaries. In this article, we analyse 29 neologisms of 2016-2017 representing the concept of time in English. These new words are extracted from specialised online resources such as Cambridge Dictionary Blog  and Word Spy  (see Table 1). In course of this analysis, we needed to specify such category as part of speech. From the Table 1 we can see that 29 out of 29 neologisms (100%) of 2016-2017 representing the universal concept of time are nouns. To analyse extracted English neologisms of 2016-2017 representing the universal concept of time as lexical units we have taken Newmark’s typology [6 p. 140-150] and further applied the elements of statistical method (Table 1). Chart 1 displays the results of analysis of English neologisms of 2016-2017 representing the universal concept of time according to Newmark’s typology. Almost a half of neologisms are collocations 48 % (14 units). Derived words make up 41 % (14 units). Abbreviations account for insignificant number which is 7% (2 units). We can see only one unit representing old word with new sense gets 4% (Table 1, Chart 1). Having analysed 29 English neologisms of 2016-2017 representing the universal concept of time we can prove that compounding and blending are the top word formation processes for neologisms. This fact supports the previous findings presented by K. Maxwell in MED Magazine . As you can see from the Chart 2 compounding takes 49% (14 units), blending – 21% (6 units), affixation – 17% (5 units) and clipping – 7% (2). By contrast, conversion comprises 3% (1 unit) and abbreviation also takes 3 % (1 unit) of the whole number of neologisms analysed in this article (see Table 1 and Chart 2). This article has given an account of the types of neologisms of 2016-2017 representing the universal concept of time as lexical units and the trends of their word formation processes. Our analysis is in line with the idea about the trend that compounds and blends prevail in terms of neologisms scopes and those ones representing the universal concept of time are not exceptions. Given that our findings are based on a limited number of neologisms (dated 2016-2017), the results from such analysis should thus be treated with considerable caution. These findings add to a growing body of research on this issue that can be further conducted in the freamework of cultural and linguistic representation of time, temporal relations via neologisms and their translation. About words. A Blog from Cambridge Dictionary [Electronic resource]. – Cambridge University Press, – 2016. – Retrieved from: https://dictionaryblog.cambridge.org/tag/neologisms/. Algeo J. Fifty Years among the New Words: A Dictionary of Neologisms 1941-1991. Introduction [Electronic resource] / J. Algeo. – Cambridge University Press, – 1993. – Retrieved from: http://www.beck-shop.de/fachbuch/leseprobe/9780521449717_Excerpt_001.pdf. Bodle A. How new words are born [Electronic resource]. – 2016. – Retrieved from: https://www.theguardian.com/media/mind-your-language/2016/feb/04/english-neologisms-new-words. 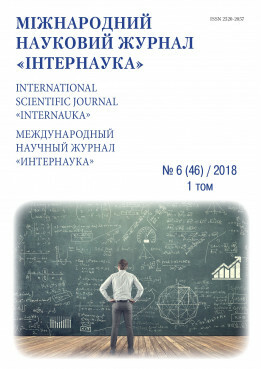 Fischer R. Lexical change in present-day English: a corpus-based study of the motivation, institutionalization, and productivity of creative neologisms [Electronic resource] / Roswitha Fischer. – Tübingen : Gunter Narr, – 1998. – 197 pp. – Retrieved from http://www.worldcat.org/title/lexical-change-in-present-day-english-a-corpus-based-study-of-the-motivation institutionalization-and-productivity-of-creative-neologisms/oclc/803158971/viewport. Maxwell K. A new word is born: How are new words formed? [Electronic resource]. – K. Maxwell // MED Magazine. – 2006. – Issue 37. – Retrieved from: http://www.macmillandictionaries.com/MED–Magazine/April2006/37–New–Word.htm. Peprník J. English Lexicology / J. Peprník. – Olomouc: Univerzita Palackého. – 2006, – pp. 186. Word spy [Electronic resource]. – Logophilia limited. 2018. – Retrieved from: https://www.wordspy.com/.